Last month I reviewed the Amicus18 development board, which is an Arduino-style platform with a PIC microcontroller. 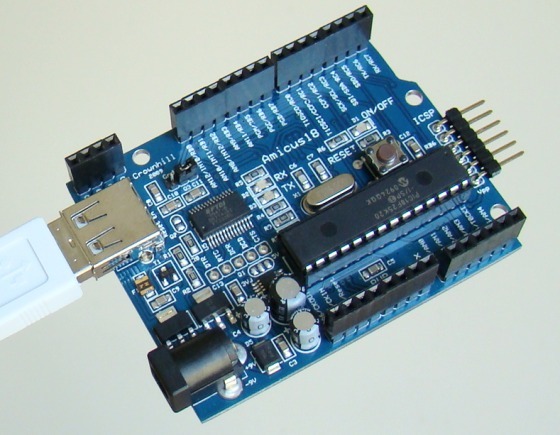 The Amicus18 board is physically compatible with Arduino shields. However, the default PIC processor on the board is a 3.3 V type, which could be an issue while interfacing some of the shields that strictly operate at +5V. 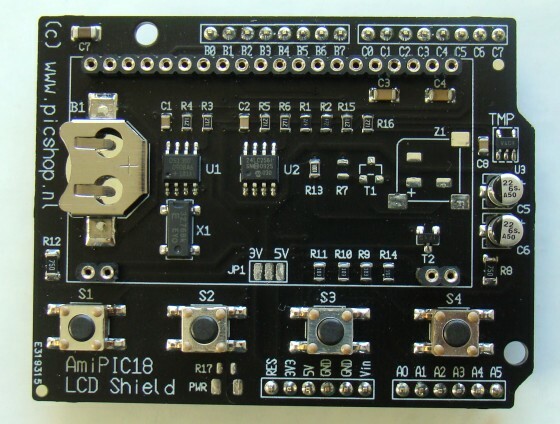 As a support to the users of the Amicus18 development board, Gevo Electronics from The Netherlands has designed a special shield, named AmiPIC18 LCD. 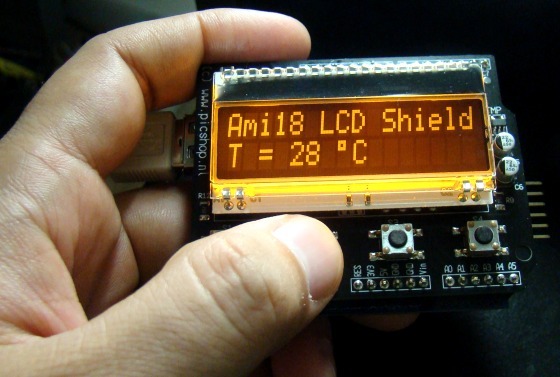 Although the name says it is a LCD shield, but in real it provides a lot more features, which we will be exploring in this article. I remember when I first stepped into the world of embedded electronics, I started with doing some basic microcontroller circuits on a breadboard. 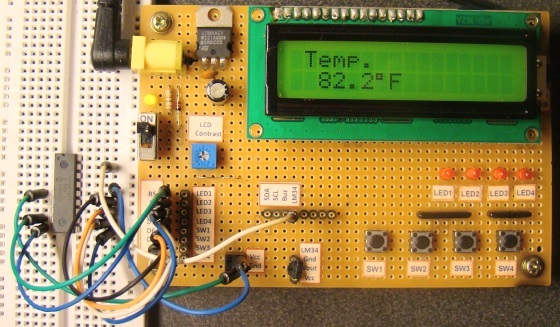 Breadboard is a wonderful tool for prototyping and testing circuits. When the test of a circuit is successful, you can dissemble it and the board is ready for a new circuit. While working on breadboard was a great learning experience, it was little bit frustrating sometimes when you realized after dissembling a circuit that you have to put it together again or just a part of it for your new project. 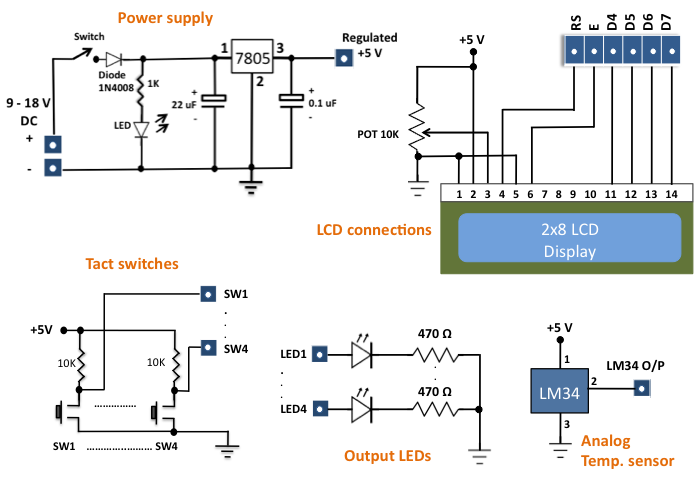 It happens very often because most embedded projects require some common stuff, basically I/O devices such as switches, LEDs, LCD display, buzzer, etc. Connecting these things on the breadboard for every new project is time consuming and boring. If you are a newbie and having the similar experience, here I suggest a general purpose I/O board that will not only reduce your prototyping time but also free up plenty of space on the breadboard for your project. Arduino needs no introduction; it is an easy-to-use yet powerful open source embedded system development platform that has gained huge amount of popularity in past few years, specially among hobbyists. The standard hardware consists of an 8-bit Atmel AVR processor with on-board headers providing access to its I/O pins. The processor is pre-programmed with a serial bootloader that simplifies the uploading of user programs to the on-chip flash memory without the need of any external programmer. Because of its low cost, user-friendly software development environment (open-source C/C++ like programming platform), rich set of libraries, and tons of resources available online, Arduino has become a common choice for electronics hobbyists these days. Hundreds of plug-in application boards, called Arduino shields, are also commercially available to extend the functional capabilities of the Arduino board. 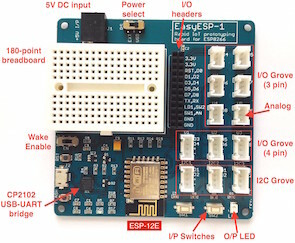 The growing influence of Arduino inspired others to build a number of different versions of it. 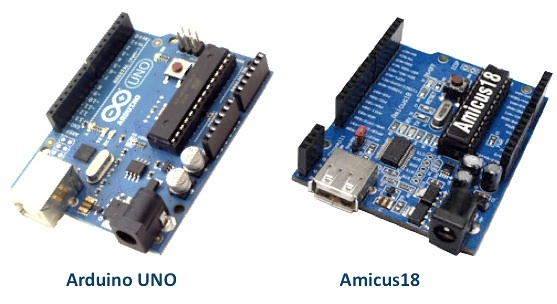 Amicus18 is also an Arduino-inspired embedded system development platform designed by Les Johnson and introduced by Crownhill Associates; however, it uses a Microchip PIC processor instead of the AVR microcontroller. This article reviews the features of the Amicus platform.